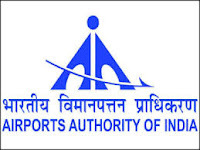 Airports Authority of India (AAI) is back again with a new notice of jobs for fill up various 264 vacancies for the posts of Apprentice. Motivated and completely qualified candidates should apply through prescribed format of application form by depositing latest by final date for this employment news. Optimistic and talented Indian nationals will have to go on the visit the official website of AAI to Apply. On the basis of qualifying marks candidates will be recruited for this position, so guys prepare like never before with the help of personality development classes. Further details related to applying process for AAI Recruitment are circulated below by the team members of this portal for all the visitors to help them. Deadline to send filled application is 18th February 2019. Recruited candidates will get all the benefits related to these posts for this long run career schedule. More possible opportunity of jobs in AAI will be easily available for all the candidates but for that they need to visit the official website of this AAI that is www.aai.aero. After reading all this you apply successfully. All the best in advance to all applicants for this chance of job! Other content regarding AAI Recruitment process is mentioned below for all the visitors of this web page where you are now. 10th / 12th / ITI / Diploma / Graduate Degree in Relevant Trade. Recruitment Process: on the basis of qualifying examination marks Percentages. 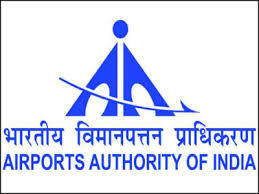 Job finders are suggested to open the official website of AAI that is www.aai.aero. After that, choose ‘Careers’ link which is visible at below side of homepage. After reading the notification candidates have to fill the form properly.